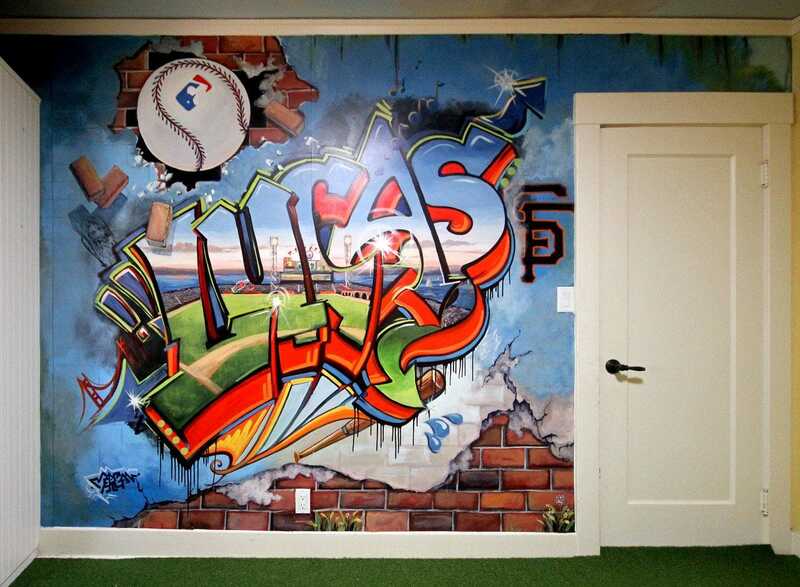 I painted this Giants Stadium Graffiti mural in my son’s room. 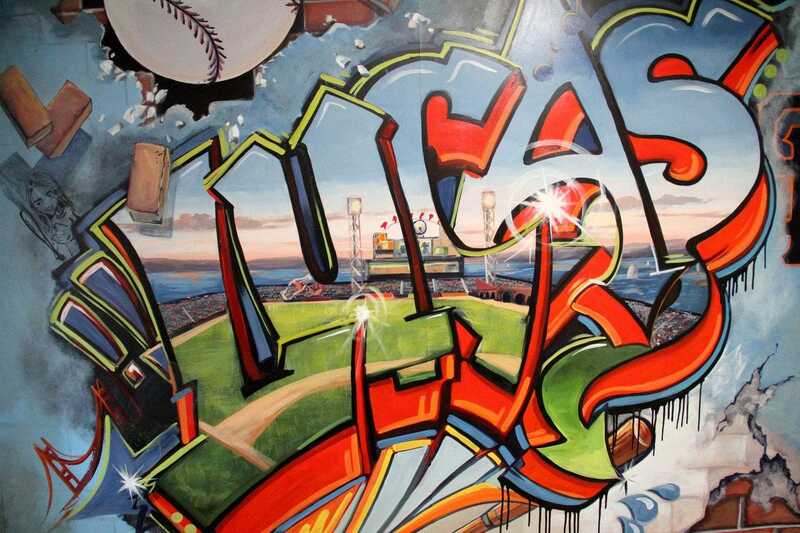 The letters of his name (Lucas) create a frame for the stadium. Bricks, crumbling plaster and water stains, add an urban grunge feel perfect for an up and coming teenager. All the elements were hashed out clearly with my son ahead of time. We even had a signed contract. He had stipulated bubble letters, and when I decided to make it more angular, he was up in arms about the “breach in contract”. In the end, he decided how it turned out was better than he could have imagined. He also has a better understanding of “artistic license”. For more information about this mural project, read my blog post House Tour.